Normal check in time is 4pm. 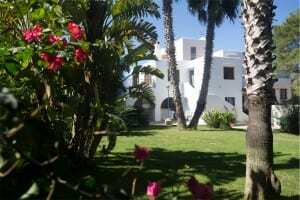 Check in takes place at our cafe and office in Playa den Bossa. The lead client will be required to complete a simple registration form to validate the Villa insurance. We will need to collect the locally charged ECO tax of €1.10 per person per night and will also need to collect everybody’s names and Passport numbers, if they have not been entered onto your booking details prior to arrival. This is a legal requirement, the same as when you check into a hotel, so please ensure you have your Passports ready at check in. You will also need to pay for any pre-arrival shopping you have had delivered, or any other services such as Early Check In fees, if it has not been pre-paid. After the 4pm check-in at our office, we can arrange a transfer to your villa. If you are arriving late at night, make sure you let us know in advance so we can make arrangements for the secure handover of your keys. Your villa and pool will have been checked and cleaned prior to your arrival and any shopping packs you have ordered will have been delivered. There will be one bath towel per person and hand towels in all bathrooms. There will be a starter supply of toilet rolls and bin bags but you may need to purchase more when they run out. As our villas are self-catering accommodation, we do not provide tea, coffee or condiments. However, if previous clients leave such items they will be left at the villa for your use. If you want to guarantee a supply of such items for your arrival, please check out our shopping page. There will be a Villa Book providing general information, important contact telephone numbers, plus unique details about the villa you are staying in. Shortly after your arrival – or the next day if you are arriving late at night – a member of the Villa Representatives team will visit you, to check all is well and that you have everything you need, including all the items listed above. They will also double check that everything in the villa is functioning and all utensils and equipment are in place. Please make some time to walk through the villa with your Rep and ensure that everything is as it should be. Should you find anything lacking on your arrival, please bring this up with the Rep so it can be speedily rectified. We cannot accept retrospective complaints after your occupancy about missing or non-functioning items if they are not flagged up on arrival to your Villa Rep or reported to us during your stay. Your rep can also help you with any other questions or requests for services such as catering, barbecue packs, boat trips etc. We really don’t want to take up too much of your precious holiday time, and all of the above shouldn’t take more than half an hour, but we do ask that you spend this short amount of time with our team member to make sure everything is correct and up to standard. Your information book in the villa, as well as the pre-arrival information we provide you with, will have contact numbers for the Villa Rep team and the Operations & Maintenance team in case you have any need to contact them during your stay in the villa. If any kind of problem or dissatisfaction with your accommodation arises during your stay, please contact us as soon as possible so it can be resolved. Any problem or dissatisfaction you may have will be documented as soon as it is reported and our team will endeavour to resolve the issue as quickly as possible. Please be aware that we cannot address complaints retrospectively, if they have not been reported to us and documented whilst you are in occupancy of the villa. Normal check out time is 10am on your day of departure. When it is time to leave the villa at the end of your stay, we ask that you leave the property in a similar condition to how it was when you arrived. We don’t expect you to mop floors or scrub bathrooms, but we do ask that you do any washing up or load the dishwasher, remove leftover or perishable food from the fridge* and remove all rubbish from the premises and take it to the nearest bins. If you have difficulty removing your rubbish for any reason, please contact us well in advance of your departure to ask for help. *We don’t like to see perfectly good food and drink go to waste, so you are welcome to leave tea, coffee or condiments in the villa for subsequent guests, unopened wine or beer for our hard-working cleaners, or unopened, non-perishable food items that we collect and distribute to Caritas, which is an island charity that provides food banks for the homeless in Ibiza Town. Unless you have arranged and paid in advance to have a late check out, we must insist that you vacate the villa by 10am so the cleaners can come in and prepare the villa for the next guests. 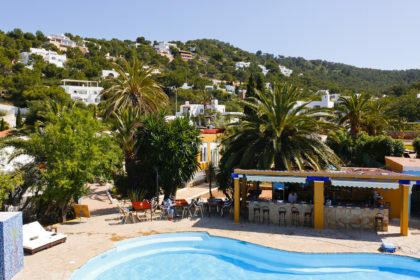 If you are not leaving Ibiza until later in the day, we may be able to offer you a late check out (normally only available in low season) or make arrangements to look after your luggage, leaving you free to enjoy your last day. Charges apply for these services; please see our SERVICES pages for more information.